As recruiters, hiring managers, and HR professionals are aware, background checks are of the utmost importance when hiring candidates for specific roles. However, what some may not realize is that there are potential hidden dangers to using a background screening service. Former FBI agent Hank Balevic, of Fidelity Data Service, recently released an e-book, Seven Secrets that Background Screening Companies Don’t Want You to Know. Throughout the book, Balevic explains that HR departments—and the law firms they use—do not specialize in the pitfalls of applicant screening and hiring paperwork and procedures. Balevic highlights multiple cases where employers, housing authorities, and others have fallen into the traps of “bad” screening services. While getting quick results back from a screening company is great for “time to fill,” it could result in a bad hire or even a case of mistaken identity. “An instant background check that is returned in less than an hour is a strong signal that the background screening company has not reviewed the data results,” advises Balevic. Balevic warns HR pros and hiring managers that some screening companies use old, outdated information in their screening services. “The term ‘screen scraping’ is used to describe the process of building the database. The data could be out of date by six months or more.” That means, if a candidate was arrested the day before you conducted the background check, this new offense may not appear, as the screening source could be relying on outdated information. Belavic also says that it’s common for some background screening companies to search only for misdemeanors. “The problem here is the charge could have originally been a serious felony charge, which was plea-bargained down to a misdemeanor,” he explains. In light of the charge being reduced, depending on which screening service you use, you may never know about the more serious charge the candidate was originally charged with. Ironically, Belavic points out that the “background screening company is supposed to protect its customers, not increase their liability.” However, some screening companies end up using service agreements that many businesses sign, which make them responsible for the mistakes of the screening company. Belavic advises, “If the screening company is negligent, triggers a lawsuit and damages are awarded, they aren’t liable. Who is liable? That would be the entity that hired them, their hapless customer.” Or in other words, it would be you or your employer that utilized this particular screening company’s services. While some screening companies may use service agreements that limit their liability for negligence, others may use just plain old illegal releases to begin with. According to the Fair Credit Reporting Act (FCRA), every screening company must inform the applicant that he or she is entitled to a copy of the Investigative Consumer Report. If the company you use doesn’t offer up this information, it is using “illegal” releases. Belavic also points out that the separate disclosure should inform the applicant that an injury and illness records and medical information report may be obtained after a tentative offer of employment has been made. He also advises that the name, address, and phone number of the reporting agency should be disclosed to the applicant, as well, and a report will be given to him or her if any adverse action is taken. You should also be wary of screening companies that combine the employment application with a release form. While this may be seen as common practice among some screening companies, says Belavic, including a release in an employment application is strictly against the FCRA. This is also another “no-no” under the FCRA. Belavic says this is a huge violation, as the FCRA was written to protect the “consumer and obligate companies, credit bureaus and other entities to play fair, and provide adequate disclosure so there are no hidden traps to lure the consumer into making a poor decision.” Or, from an employment standpoint, this means having a candidate sign a waiver to release the screening company from being held responsible for its mistakes. Such a release is an absolute contradiction to the FCRA, says Belavic, specifically Section (609)—which places the burden upon the credit bureaus and others to prove an account is accurate. Now that you know how shady some screening companies can be, how do you determine if the one you’re using can be lumped into this category? Conducting the screening thoroughly so it is almost impossible for criminals to slip through undetected. Let’s face it: Not everyone has a friend in the FBI. For hiring managers, HR pros, and employers that are looking to verify background check screening information, Senior Legal Editor Joan Farrell suggests turning to state resources. Farrell says that there are some states that have a criminal record check service that employers can use; you can find out if your state offers this service by contacting your state police department. Farrell adds that some states also have a criminal records database that can be used only by an individual who wants a copy of his or her own records—these records can be obtained by the individual through his or her state government’s website (e.g., judicial branch). To verify if the background screening company you are currently using is a legitimate service, Farrell suggests reaching out to a professional association (like the Society for Human Resource Management (SHRM)) or other HR professionals to get a recommendation for a reliable screening company. 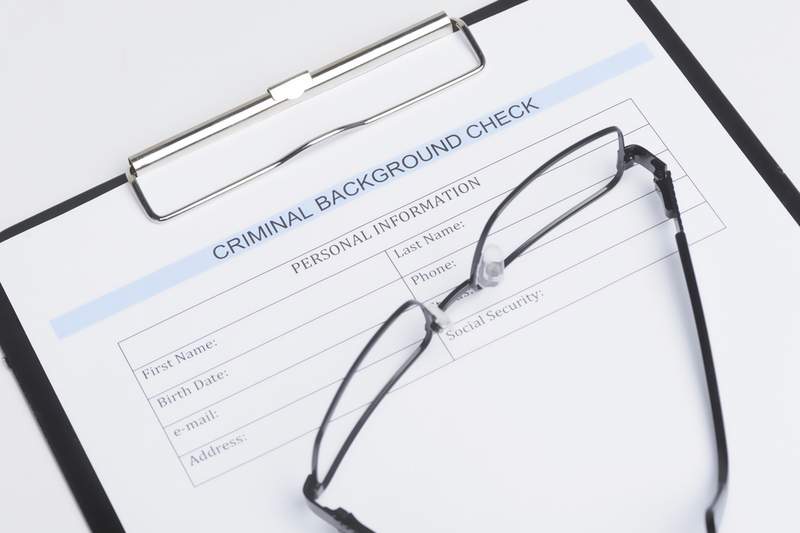 After seeing what hidden dangers lie behind third-party background screening companies, we started wondering was what the best way to validate the information that was found in a candidate’s background check. We reached out to Addison Group—which specializes in delivering an exceptional staffing experience for both companies and individuals in select industries and occupations—for their take on how to handle background check information. “At Addison Group, we customize our background screening program to match and accommodate the needs and requirements of our clients. Validation has always been a key area for us in evaluating our background vendor relationships,” says Betsy Tien, Director of Human Resources at Addison Group. “Addison Group maintains a strong service commitment to our clients. When a client requests a background search to be run, we believe it is of utmost importance to provide validated results. Along with quick turnaround times, validation is one of the most critical components of our background screening program,” says Tien.